Services - Work. Train. Recover. OrthoSport Physical Therapists are a team of highly skilled and dedicated professionals committed to exceeding the expectations of our clients. Physical Therapists are health care professionals who are doctoral graduates from an accredited Physical Therapist program and are licensed to practice Physical Therapy. Physical Therapists evaluate, diagnose and treat clients of all ages with musculoskeletal and neurological dysfunctions or injuries. 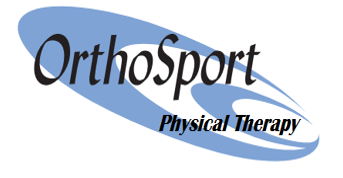 ​ OrthoSport specializes in orthopedic injuries/dysfunctions commonly utilizing manual therapy techniques. Orthopedic physical therapy involves treatment of injuries that may include, but are not limited to: pain, joint and soft tissue injuries such as fractures and dislocations; connective tissue injuries such as sprains and strains; workplace injuries including repetitive stress disorders; sports injuries of the athlete and weekend warrior. OrthoSport Physical Therapists place a high emphasis on one on one patient treatment intended to restore or facilitate normal function through the use of manual techniques, therapeutic exercise and the application of modalities. OrthoSport Physical Therapists evaluate and treat many different aspects of human function, including pain, soft tissue dysfunction, muscle strength, joint range of motion, gait, balance and endurance. Once each individual client’s case has been evaluated, a detailed and customized treatment program will be designed specifically to address each client’s individual needs. The specific services and resources available at each of our clinics vary. OrthoSport's goal is to create an individualized program that allows you to reach your maximum performance potential for all sports. OrthoSport further offers individualized Pilates Training Programs via a certified Pilates Instructor as well as personalized private training sessions. Modern living places a variety of stresses on our bodies that can result in physical discomfort. Marty specializes in achieving natural, healthy relief from pain and discomfort using a variety of massage techniques. As a licensed massage therapist, Marty’s mission is to assist people from ages 10 to 93 in their pursuit of health and pain-free living. All treatments are uniquely designed, with a commitment to the highest standards of personal service. Marty specializes in a number of well-known therapeutic techniques, and will recommend specific techniques depending on your needs. Practice styles include: Swedish, Sports, Whole Body View, Meditation Massage, and Movement Therapy.